Solo project by Mark HEALY with a strong focus on storytelling and atmosphere, HIBERNAL interweaves spoken word with instrumental music pieces to tell a compelling storyline that unfolds throughout the course of the album. Musically, there are a number of different styles on offer, ranging from atmospheric post rock, to moody acoustic guitar arrangements and hard rock riffs. Each of these elements are used to craft soundscapes that drive and complement the narrative. The use of sound effects and a professional voice cast add to the immersion. Like most concept albums, a HIBERNAL album should be experienced from start to finish for maximum effect. 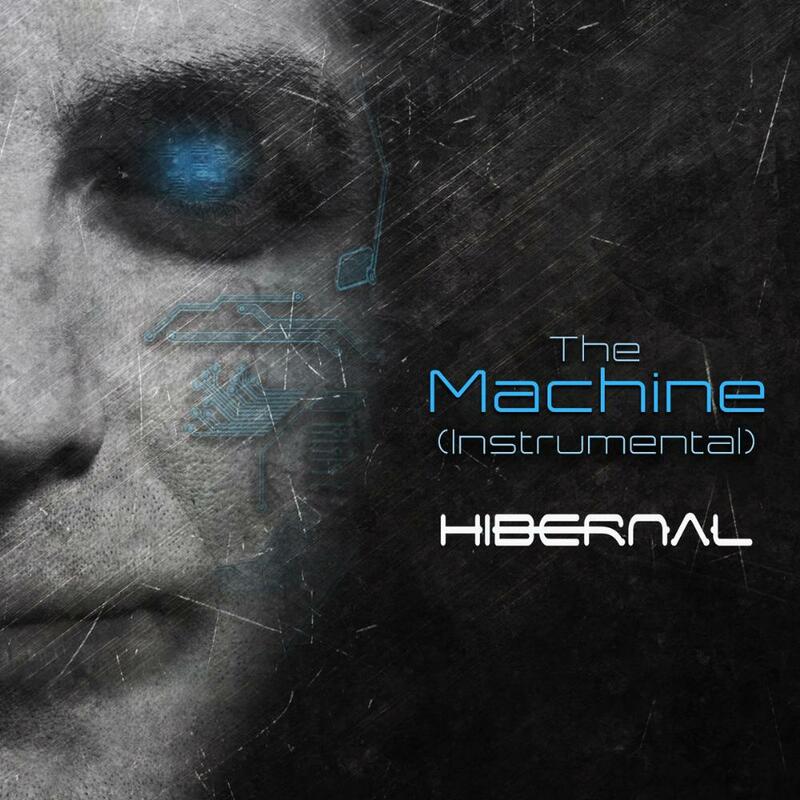 The debut album 'The Machine', released in 2013, is an exploration of ambition, sadness and our choices in life told through crunching hard rock riffs and soaring guitar. The story revolves around a man climbing the corporate ladder inside a powerful company, who finds that with each promotion he must sacrifice a part of himself. Mark and Rowan are back, and again the story revolves around just two characters, both played by actors who have previously been involved with Hibernal. Scott Gentle took the lead in 'Replacements', while Faleena Hopkins took a minor role in both 'Replacements' and 'After The Winter', but here things have been changed as Faleena is very much the lead. This changes the dynamic, as the script is always in the first person, so the switch to female was surprising and caught me off guard. As with the previous album there appears to be more music, which is many places is quite dramatic, and whereas I normally "see" Mark's stories in full colour, this feels far more black and white, as if it is a classic Hitchcock. Or at least if Hitchcock was directing films that would normally be called science fiction. 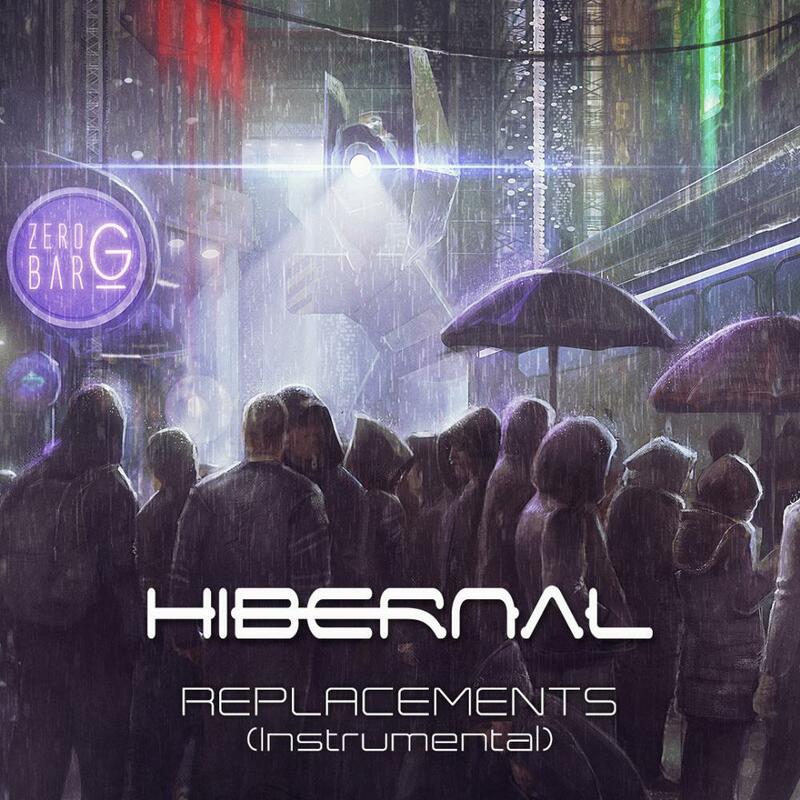 In terms of timelines of the Hibernal world, this has more in common with 'Replacements', but more of a parallel universe to that one as opposed to the same vision. There is an almost hypnotic state to the music, as it takes control of the senses and drags the listener into a new world, one where Moreeno the cop is undertaking a relentless search for the creature that killed her partner. By chance she comes across her new partner during the evening, and together they finish what had started a few weeks before. I still find it incredible that in so few words Mark can create a picture of Carson City ? I feel I understand both it and its underbelly, and can envisage what the characters are seeing when the final act is played out. The post rock riffing combines with Pink Floyd stylings to create a musical soundscape that is at times at the forefront of what is happening, creating the dramatic when there are no words, and at others falling into the background so that the actors are centre stage. This isn't a concept album, nor it is a spoken book, but something that is different from both and instead is a musical radio play for the ears. This is Mark's fourth full album (the previous three are also available in music only forms), and the fourth to which I feel I need to recommend at the very highest level. Go to his page on Bandcamp, pick any of these at random, then sit back and enjoy the experience. I can promise that you won't be disappointed. The synopsis of this album is "A man who transfers his thoughts and memories to a synthetic body in order to survive an apocalypse seeks to return to his human form". Yes, yet again we are in the world of Mark Healy, which is bleak and post-nuclear war, some time in the future. Rowan Salt has again joined Mark by providing bass, and it is interesting to note that Faleena Hopkins, who portrayed Sabel in 'Replacements' is back again, this time as Arsha ? the first time that one of the actors has returned. There are only two characters in this story, down from four last time and three in the debut, but in many ways, this is possibly the most compelling to date. 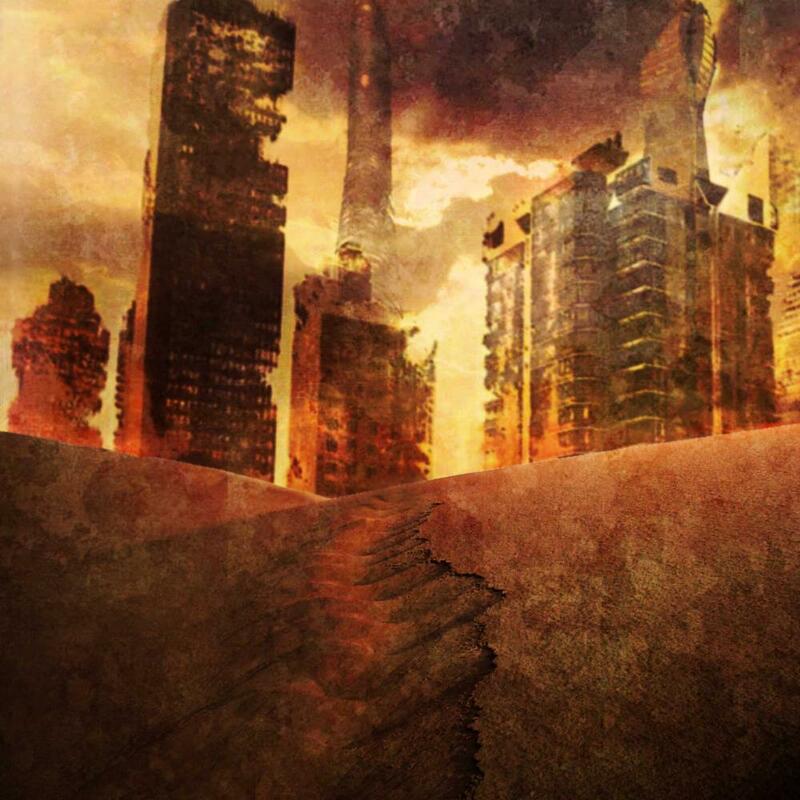 When listening to Mark's cinematic visions I have sometimes wondered which author he most reminds me of, but there was no debate on this one, as to me this is Stephen King and the wastelands encountered on the journey to The Tower. But, as always with Mark, there is quite a twist. If we consider this to be the third in a loosely connected trilogy taken from the same world view, albeit at different times, this is the one furthest in the future, and the one that seems to have the most music within it. There are few words in the script outside of the conversations that take place between the Arsha and the lead character, Brant, and his post rock Pink Floyd inspired soundscapes perfectly capture the mood. This is the perfect combination of two quite different art forms, that of music and of a script spoken by professional actors, so that one enhances the other to make something so compelling that once it has started, nothing else exists. At the end of this album I felt it was more complete than 'Replacements', one where this particular chapter had come to a logical conclusion. There were questions I wanted answered, and I did want to know what happened in the future, but I also felt that the story was concise and ended in a better fashion than the last one. Compelling, enthralling, imaginative and exciting, Hibernal. 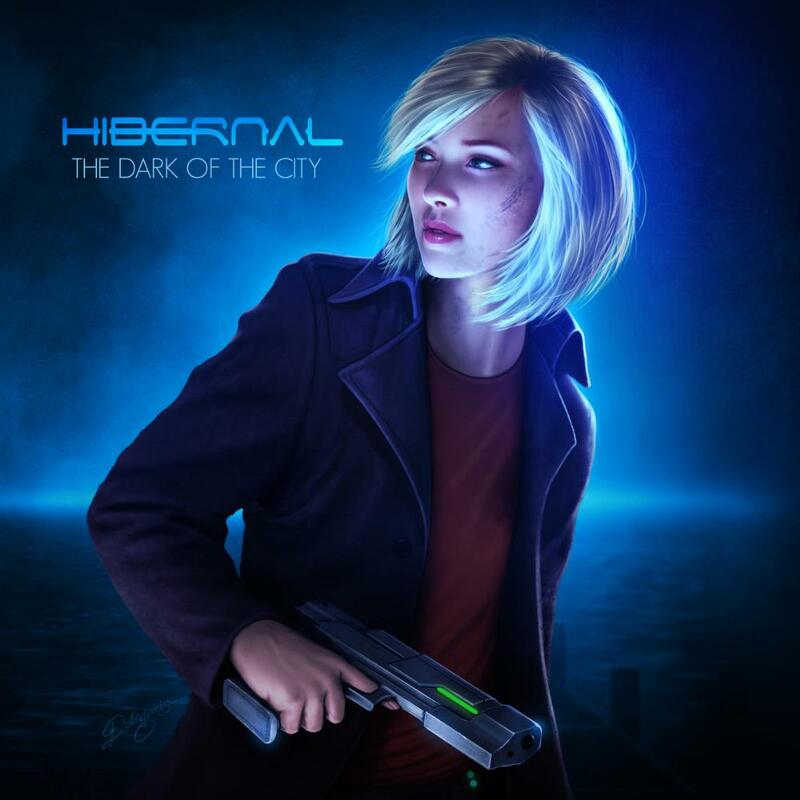 Hibernal return in 2017 with yet another brilliant and original concept album 'The Dark of the City', and this might be their best one yet. If you've never heard one of these albums before, it could best be described as a cross between an audiobook, a concept album and a movie soundtrack. An original script acted out by professional voice talent is accompanied by a collection of songs that function as the score. It truly is something original and unique. 'The Dark of the City' follows the story of a cop carrying out a relentless search for the creature that killed her partner. Set in a cyberpunk-ish city 'Carson Bay', the atmosphere is conveyed by sound effects, the synth-driven score and some incredible acting. The songs are shorter and the pace of the narrative is ramped up in comparison to earlier albums, and that suits the story perfectly. This is a taut sci-fi thriller that features an incredible twist at the end. You won't see it coming. Give it your full attention for an hour in a dark room and you'll find it really is like stepping into another world. Highly recommended. Back in 2013, I ran into Mark Healy over at progarchives.com. He was busy creating his own unique take on progressive rock: an audio theater experience set against the backdrop of progressive post-rock. Needless to say, "The Machine" floored me. The next year, "Replacements", his second album, made me fall in love even further. And now, after authoring a trilogy of novels, Mark has released his third album, "After the Winter". Does it live up to the rest of his discography? Mark is a genius. His love for sci-fi, especially Blade Runner, is apparent. Like me, he is fascinated with the idea of sentient androids: the delicate image of human life intertwined with the raw mechanics of a machine. "After the Winter" is no different, though the setting has changed somewhat. Instead of the bustling future city of the first two albums, this record takes place in a post-apocalyptic setting where all humans have eradicated from the earth. The story follows a pair of androids who were created to be carriers for the souls and minds of human beings: a way of safeguarding humanity until the world would be more hospitable. This pair, Brant and Arsha, is searching for the key to rejuvenating their real bodies, obviously with hopes of beginning something new. In the course of events; failed ventures, surprising twists, and emotional moments abound. Mark has certainly done an amazing job of sucking his listeners in once again. On the music side of things, I find that the tracks are a bit more subdued. In fact, I feel like there are moments with no music at all, and the result is a mixed bag. Sometimes, it heightens the drama, and other times I feel that it creates a vacuum that needs filled. Mark does an awesome job on guitars once again. This time around, I feel like his writing skills and especially his leads are stronger and have more presence. The solos present are extremely good, too. One of the best representations of this is "Worn", a really special track both lyrically and musically. Rowan Salt on bass also does an even better job than last time, as his presence and real impact on the song structures cannot be ignored. 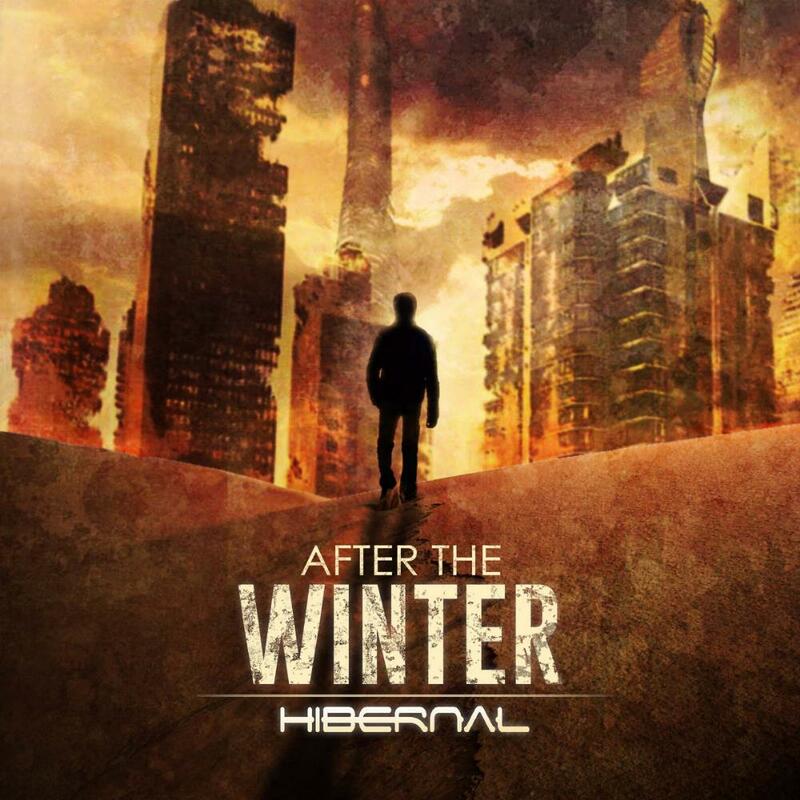 Ethereal, satisfying, and familiar, "After the Winter" might be Hibernal's strongest outing on the musical front overall. There is something, however, that has been nagging me about this album. As good as it is, I just can't seem to like the voice acting for Brant's character done by Brad Everett. One of the hallmarks of the previous two albums was the unique voice cast, especially the main character. They were perfectly directed and just very easy to relate to as I listened. Brad, however, has a very generic slant to his voice that makes me wince. This is too bad, as Arsha's actress, played by Hibernal alumni Faleena Hopkins, is emotionally pungent and spot on with her delivery. Ultimately, Brad's performance has lessened my enjoyment of what is otherwise another perfect entry from Hibernal. I must mention my love for the two track song "Displacement". Within this track, the greatest mysteries are revealed and possibly the best instrumental appears. In addition, I am in love with the ending of the album (for reasons that will probably wait until a spotlight on The PROG Mind). It is filled with something very different from the last two albums: hope and rejuvenation of spirit. Indeed, "After the Winter" has a different sort of progression and tone, and so I can't wait to see where Mark will take this story next. Cheers, Mark. You have a fan for life. As far as I'm aware, Hibernal is unique. What are we listening to here? An album? A play? An audio book? I think the best description I have heard to date is an audio movie. Stick the headphones on, shut your eyes, immerse yourself in sound, and let your mind fill in the visuals. I love it!! Once again, Mark Healy expands on the world he has created, exploring the complex issues surrounding synthetic humans. Voice actors take you through the story by the use of acting and narration and the whole thing is meshed together by a dark, moody and wonderfully atmospheric soundscape. From the moment you close your eyes, you really do get taken on a journey. I have no doubt that this is a fledgling genre which will only grow and grow. Perhaps with its roots in Jeff Wayne's War of the Worlds and other musical adaptations or various stories, but this use of voice actors and replacing traditional vocals is an excellent and very welcome experience. 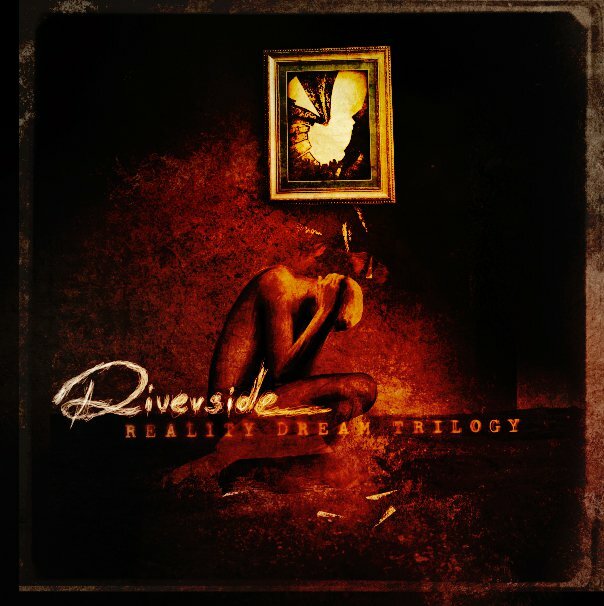 As post rock/math rock is something new to me I fell into this music with a lot of prejudicies. I thought it to be no content, just feeling. Well, I was wrong. Hibernal is the name of Mark Healy, an Australian musician from Brisbane who made his second effort with "Replacements". Last year came "The Machine". If you look at his discography you see that he also released this record instrumental. That hasn't got as high ratings as this and that indicates that the history here told is important for us listeners. Bass is played by Rowan Salt and all the other instruments by Mark Healy which also has written the manus of the story. The cover show a rainy big city and a girl looking carefully back seams taken from the future. The record discusses if people could be replaced by similar beings, creatures that look and act exactly like humans. I guy goes around and meets a girl he thinks is a replacement and the history turns into a thrilling and philosophic mystery. The though of human robots have been discussed in my country and a television series: "Äkta människor"(Real people) has been made in two rounds. The music of this record makes the story even deeper. An atmospheric guitar that lies in the background and grieves is among the best things here but the whole instrumentation is good. I enjoyed hearing it and has got a new respect for the whole genre. Yet must I say the relevance for this music depends a lot of the telled story and without that the record should be too long and humdrum and not for me to embrace. Not it has it's charm and I will give it three stars! The best track is "Fragments of the Past"(7/10) but there are some places that have the similar feelings too. 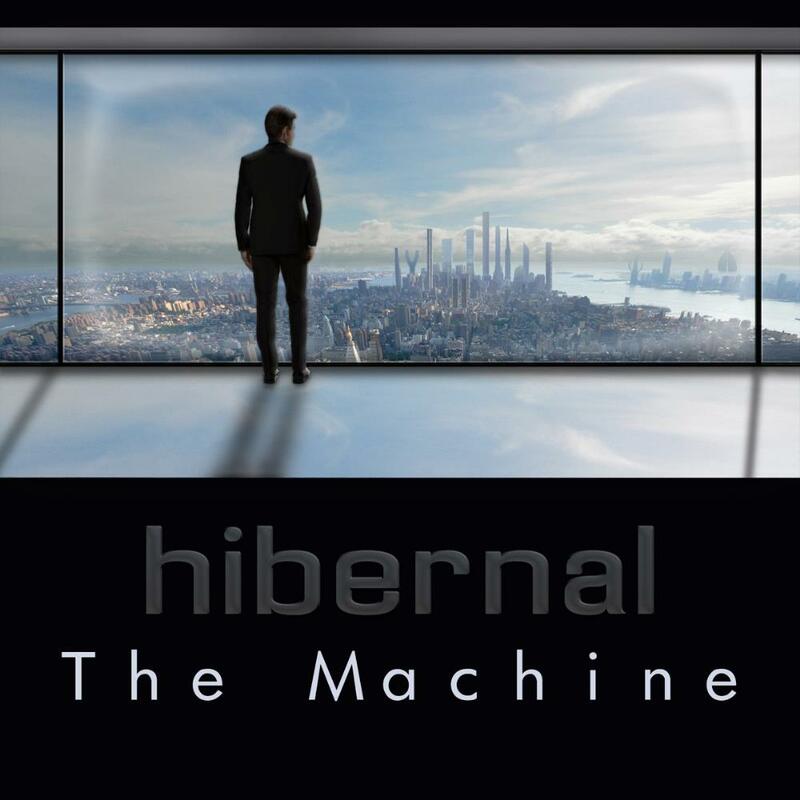 Wow, wasn't really expecting anything from Hibernal's debut album The Machine (2013). It is so that it took me one year to actually listen to it! This Australian one-man band (Mark Healy) is something to pay attention to. It's a mix of calm Progressive Rock with edger parts and a bit of Post Rock and Ambient music that tells a very intriguing story based on the short story called Welcome To The Machine by Mark Healy himself. I always liked this kind of telling stories albums, and that's what The Machine (2013) is, there's no vocals on it really, just a narration of facts and a very interesting music that passes smoothly as we wait for the end of the story. The tale is about a man working in a company that little by little becomes a machine as he's promoted, a sci-fi tale that, in a way, is not that far away from reality. After this one I'm really curious about his new album Replacements (2014)! "The Replacements" is a wonderful radio drama with prog music accompaniment. I find the story compelling, well-written, evocative, and well-acted. I find the music ranges in style from ambient to exciting and melodic. Given that the music accompanies and drives the story so well and that the story is well-told, I find no fault with it and consider it a masterpiece of its kind. Anyone who likes progressive music and misses old-time radio shows will find this album essential listening. Story: Ex-con Artimus runs into an obviously synthetic woman whose behavior and beauty beguiles him into a mystery with interesting consequences. Voice-Acting: Scott Gentle does an excellent job as Artimus: world-weary, lonely, and vulnerable to the strange attraction he feels for Sabel, the synthetic. Faleena Hopkins does an admirable job of navigating the cryptic nature of her character. The other two actors do fine work, as well. Music: Ambient proggy soundtrack music. Gorgeous guitar solos. This music fleshes out the story to convey moods and landscapes. It works as music but is essential to the story experience. I find that I cannot listen to this album track-by-track. It must be apprehended in one sitting. I've listened to it many times straight through, and even the dialogue hits its beats in a way that I don't mind hearing the same words and voice-acting over and over again. Scott Gentle's lines, in particular, have a music all their own. Finally, the story's finish is haunting and provokes contemplation of who we are and who we want to be. I find myself wanting more of this story and those tangential to it. Highly recommended. Having played the 'full' version of this album so much I wasn't quite sure how to go about reviewing this as obviously I already know the music quite well, but I was actually pleasantly surprised at just how well this stands up on it's own. It is also easier to hear just how many different styles are being used throughout, and while I'm not a fan of some of the electronica style keyboards that are used in one section, there is still plenty of Floydian and rock influences going on that makes this a genuine delight in its' own right. What is interesting to me is that this isn't nearly as dark as it appears to be when listened to with the words, which just goes to show how much presence is put into it by the performance of Scott Gentle. But, the presence is still there and the result is an album that I thoroughly enjoyed playing, as it has much more going on than many instrumental projects I come across. It's not whizz bang in terms of notes density, but is all about feel and a strange future worldly emotion. Somehow the science fiction feel comes through on this, even there are no verbal clues. 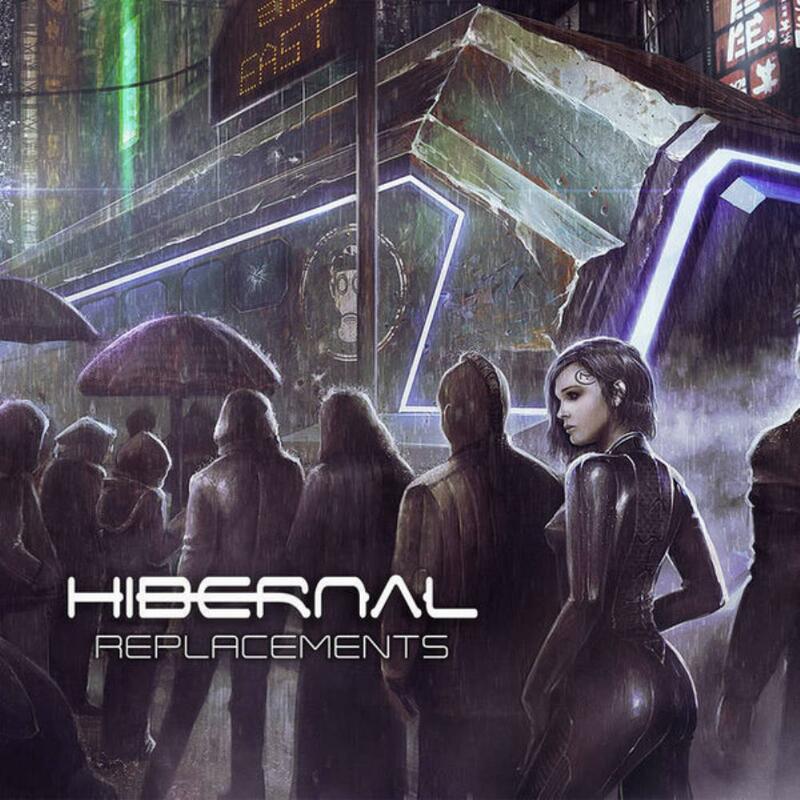 When Mark Healy contacted me last year about his project Hibernal, and the first album 'The Machine' I did as I always do with 'new' bands, put the album to one side and wait until I have the opportunity to listen to it with an open mind. 'Replacements' wasn't accorded the same luxury, because as soon as I had it I just had to play it to see if Mark had dared to stay with the same construct as before, and this he has done, except now there is even ore depth and presence. There have been many acts who have released concept albums, but there are very few indeed who have provided a story where the actors speak their lines and the music is there for support. This is cinema for the ears, and science fiction to boot. But what makes this work so very well is that each element is there for the other, each providing the drama and passion that the other requires. Rowan Salt provides the bass, with Mark all other music, while there are four actors, with Scott Gentle taking the main lead of Artimus. His voice and presence reminds me of Humphrey Bogart, with a grittiness and realism that shines through. It is hard to talk about the story without giving too much away, so let's just say that it is set in the future and the replacements in the title are human-looking androids who now undertake the mundane tasks that humans don't want to do. But, there are a large number of twists within what must be a very short number of words, and Mark has left so much hanging that I don't feel that this has yet come to a full conclusion. Whereas in 'The Machine' it would have needed a new story to follow on from the last, this feels much more like a new chapter of the same. When I first played it I was rather surprised when it finished as I felt that the story was only half-told, and I found myself thinking about it even when the album wasn't playing, such is the power of a few carefully chosen words. I came to the conclusion that although I can see why the story ends where it does, I would rather have some more explanation of what had previously occurred to Artimus, and how he got to where he was. There are suggestions, but no more than that, what it has done is made me go back to the album time and again. But hang on, isn't this supposed to be a music review? Well it is, but on this album it is about the music supporting the lead players, the actors. Mark riffs when he wants to, or provides gentle Pink Floyd type noodlings, but importantly the music very much stands up on its' own right as well. Mark has so much confidence in this that he has also released the album as an instrumental, so it is possible to hear the music without the words.